All aboard for the wackiest murder mystery on rails. Henri Poirot (Allen Morrison) takes us on a journey to solve a murder mystery aboard a train heading through the Canadian Rockies. When the train breaks down, the murderer strikes. On board with Poirot is a minister from Communist Russia, a movie star, an orphan, and American businessman, and two performance artists. Each of these characters has a quirk provided by the audience: The communist is the Minister of Cats, the movie star’s tag line is “Oh yeah she did,” the orphan can’t close his mouth, the businessman sells gummy bears, and the artists are burlesque dancers. This makes for a very interesting ride. As we get to know these characters a bit better, they improvise various scenes on board the train such as burlesque rehearsals, business deals, and romance. One lucky audience members is invited aboard, and later on he’s found dead. Poirot must solve the case, so he goes outside the train to look for clues while the other passengers tell us their secrets. When he returns, he interrogates each one to put the pieces of the puzzle together. With the audience’s help, he’s able to determine is his line of questioning is warm or cold. 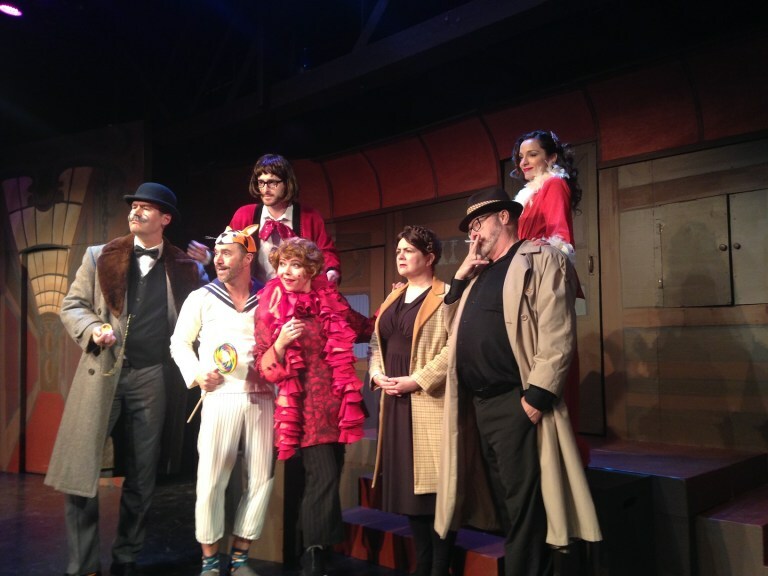 A good murder mystery seems tailor made for the improv format, and murder has probably never been as fun as it is with the Vancouver Theatre Sports League.